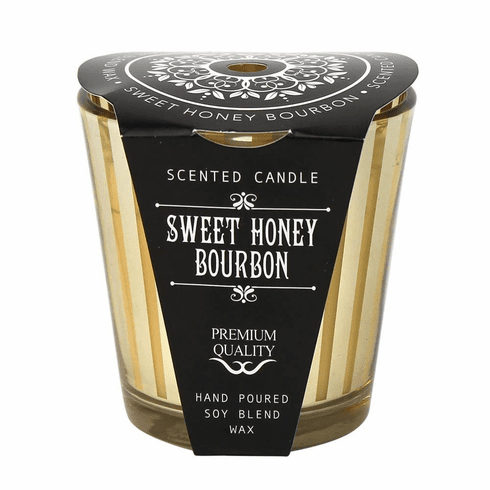 With this sweet and spicy cocktail candle you'll get the scents of orange marmalade, tamarind and honey. Al infused with bourbon, coumarin and clove; and layered by brown sugar and tobacco. Lead and tin free cotton wick. Burn Time: 25 Hours. Weight 0.6 pounds. 3.5" x 3.5" x 3.25". Soy Blended Wax. UPC Number: 843730066324.